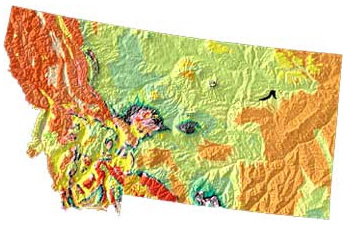 Montana geology and topography map; USGS: A tapestry of Time and Terrain. The name "Montana" was proposed in 1864 when the area was sub-divided from the Nebraska Territory. Montana was admitted as a state in 1889. 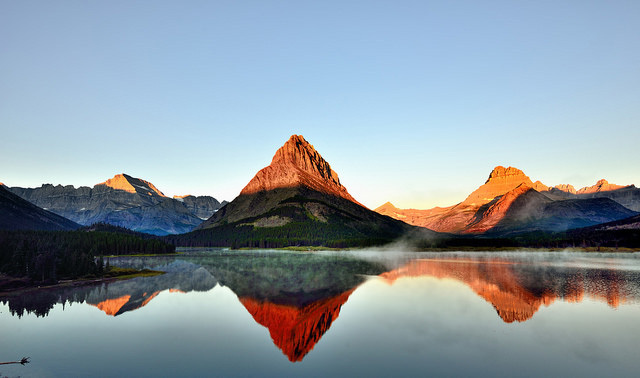 Grinnell Point, Glacier National Park, Montana; photo by Mark Stevens on Flickr (noncommercial use permitted with attribution / share alike). Add Media for Origin of "Montana"